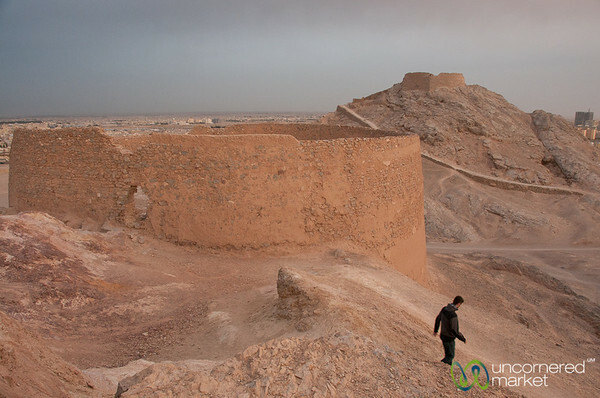 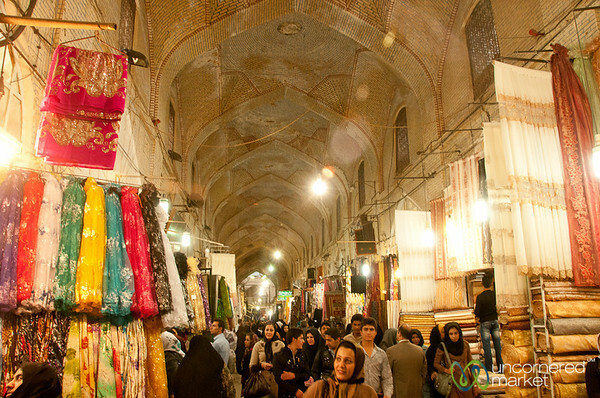 Iran's most popular tourist site cities: Esfahan, Shiraz and Yazd. 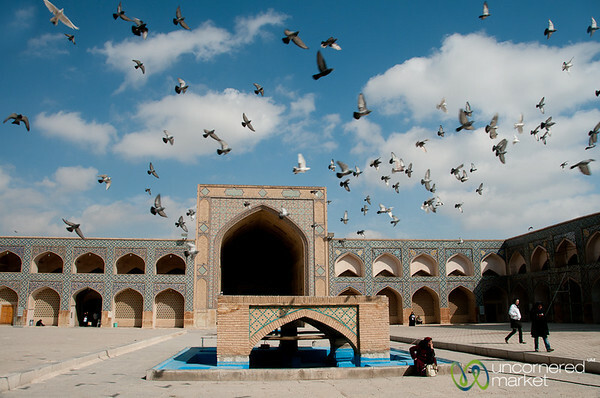 Courtyard of Jameh Mosque (Friday Mosque) in Esfahan, Iran. 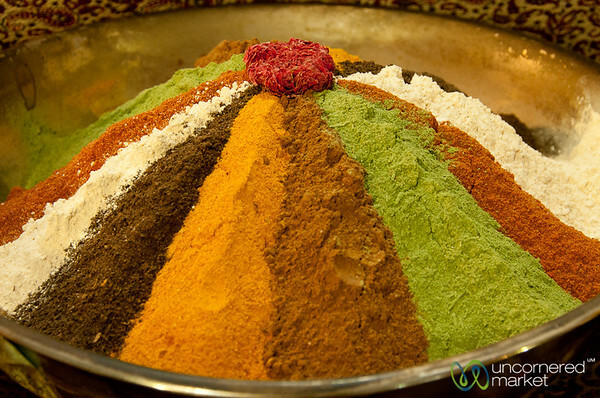 Beautiful display of five-spice mixture at the Shiraz Market in Iran. 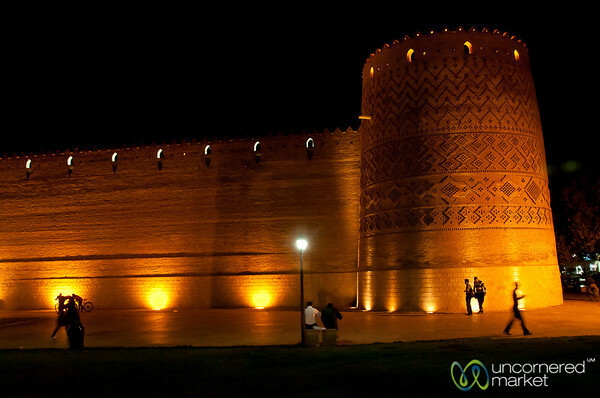 Karim Khan Citadel in Shiraz, Iran. 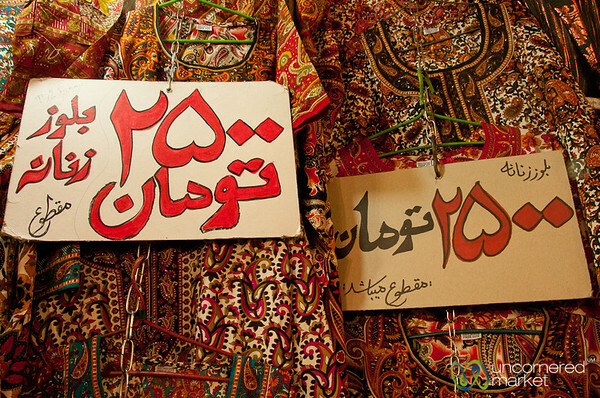 Iranian dresses are marked up with prices at the Shiraz market, Iran. 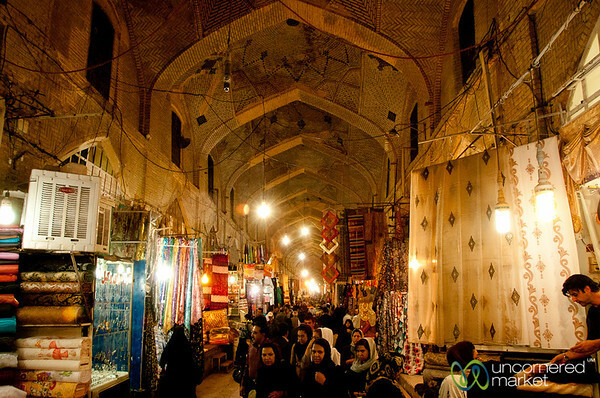 A handmade silk Persian carpet from Esfahan. 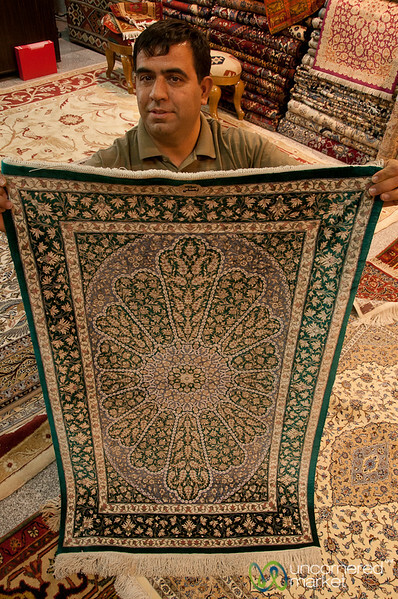 One of the guys in our group bought it for $2,500. 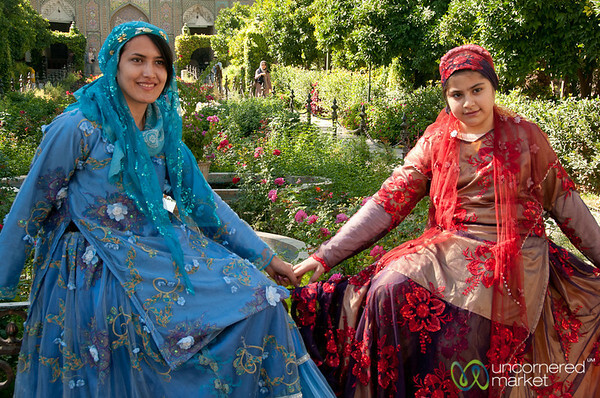 Young Iranian sisters are dressed in traditional clothes at Bagh-E Naranjestan (Orange Garden) in Shiraz, Iran. 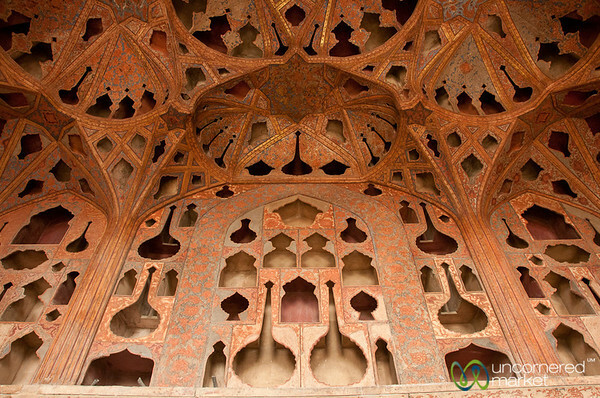 Music room at Ali Qapu Palace with great accoustics. 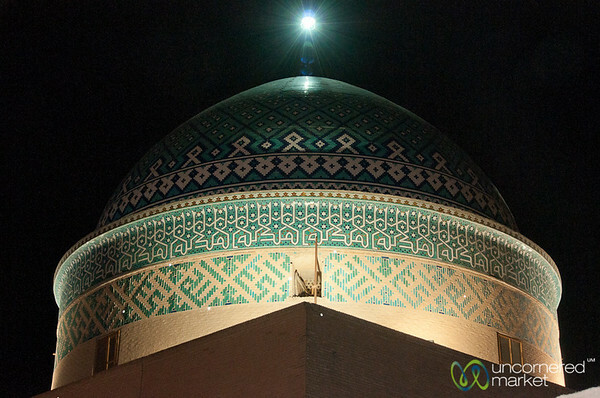 Esfahan, Iran. 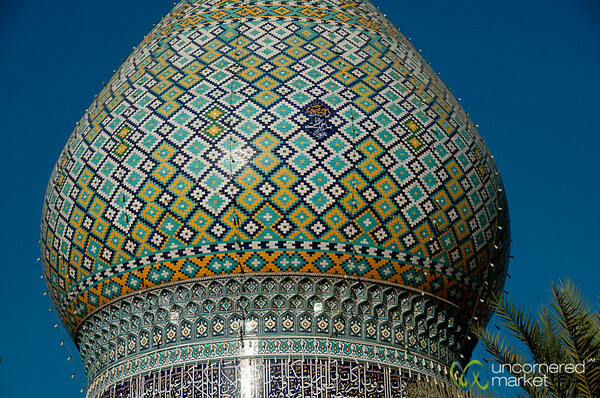 Geometric designs on the dome of Aramgah-e Shah-e Cheragh Mosque and Mausoleum in Shiraz, Iran. 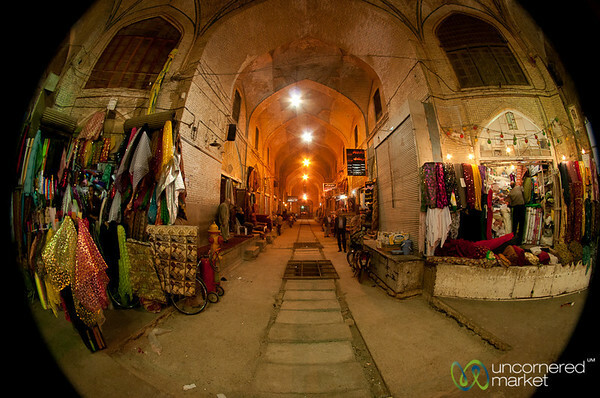 Inside Shiraz's oldest and more famous covered market areas. 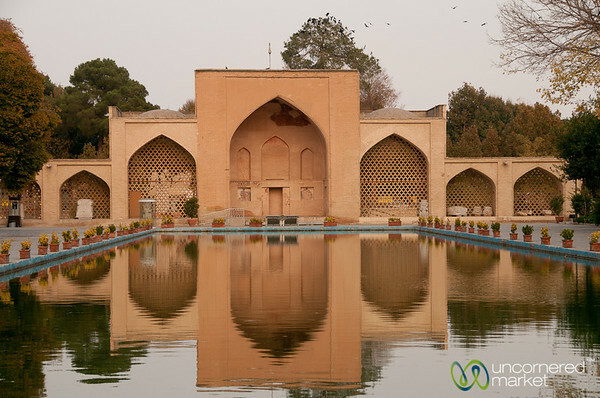 Reflections of Chehel Sotun Palace in Esfahan, Iran. 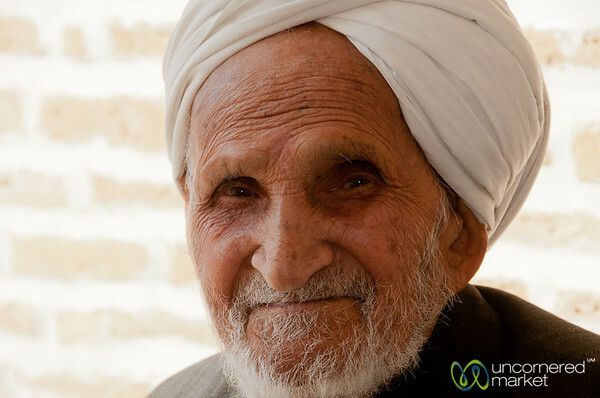 Iranian man we met at the Jaameh mosque in Yazd, Iran. 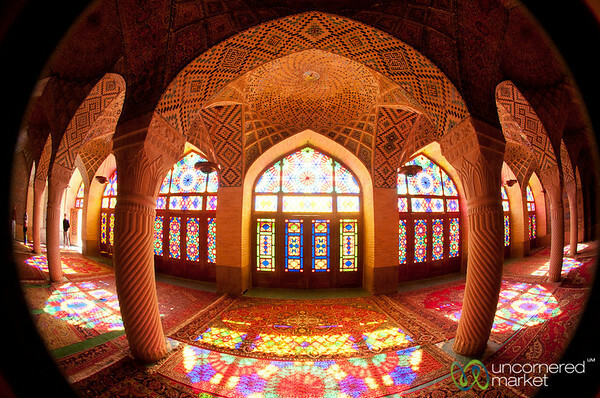 Fisheye view from inside the Pink Mosque in Shiraz, Iran. 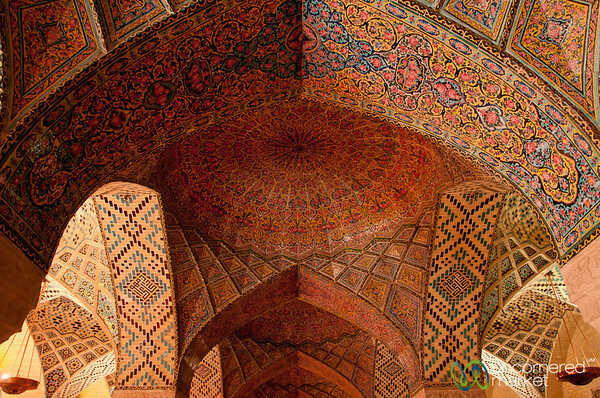 Inside the Pink Mosque with Persian symetrical design in Shiraz, Iran. 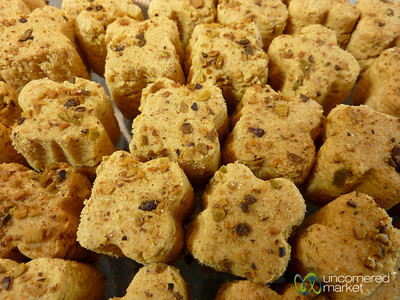 Nokhodchi (Chickpea Cookies) in Esfahan, Iran. 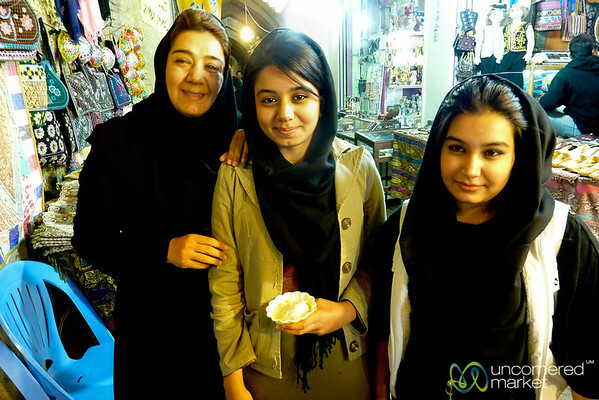 A mother, daughter and niece together at the big bazaar in Shiraz, Iran. 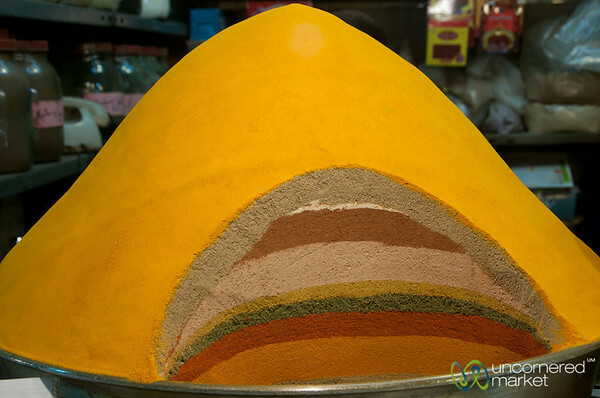 A perfect mound of layered spices in Esfahan, Iran.